What to bring: clothes you usually wear on the beach, towel, flip-flops, sunblock, drinking water. Set in the middle of the Mediterranean, Sardinia holds an impressive 2,000 km (1,240 miles) of coastline. Surfers love to visit this beautiful Italian island as they find high-quality and consistent waves breaking all year round. 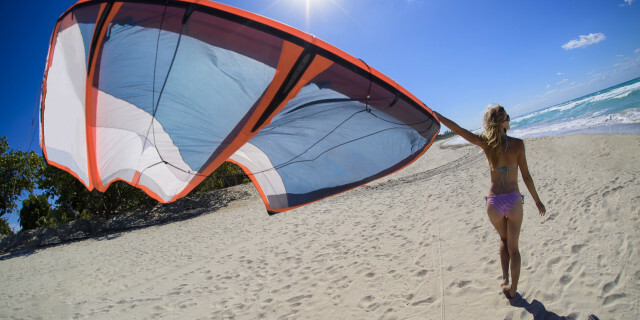 But if you are not ready for the big swells yet, the best spot to start surfing is the fabulous Poetto. 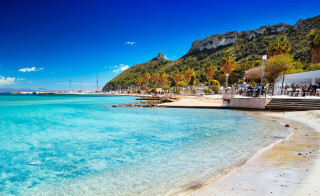 Located in the southern Sardinia, this is one of the most popular and beautiful beaches of Cagliari. The small and slow waves here are perfect for everyone who wants to learn the art of surfing. 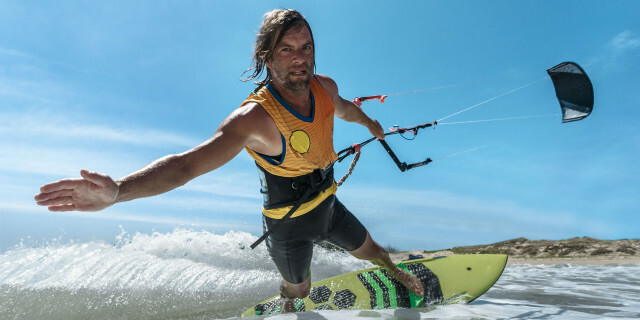 Meet your professional instructor at the beach to start your lesson. The first part of the class includes some stretching exercises to warm you up for the activity. After that, you have a series of theoretical explanations about the sport, equipment, physical posture, and how to stand on the board properly. You practice these techniques on the sand and then jump in the blue sea to catch some waves for real. Your instructor is with you all the time during the water session. He helps you to stabilize the board and gives valuable tips to make the standing-up action as easy as possible. Once you catch your first “green wave,” that's it! The addictive nature of surfing will have you hooked forever. The experience is not over yet. As your lesson finishes and the rush calms down, you can relax, and discover the beauties and mysteries of Poetto. The soft golden sand, blue sea, and landscapes like Sella del Diavolo are yours to admire for the rest of the day.